For the speech of the President Dirk Vandromme at the prize giving ceremony click here . For Pictures of the prize giving ceremony please visit click here. Bad Ischl, a historic town surrounded by beautiful lakes and alpine mountains offers a wide range of activities for inhabitants and tourists. Going to the mountains with the Katrin cable car, visiting the numerous parks or enjoying the imperial atmosphere in the center are only some examples. In 2015 Bad Ischl was host of the Upper Austrian gardening exhibition and took the opportunity to restore historic parks, create new playgrounds for all generations and built new squares. Sustainability as well as involvement of the inhabitants play an essential part in the future development plans of the city. 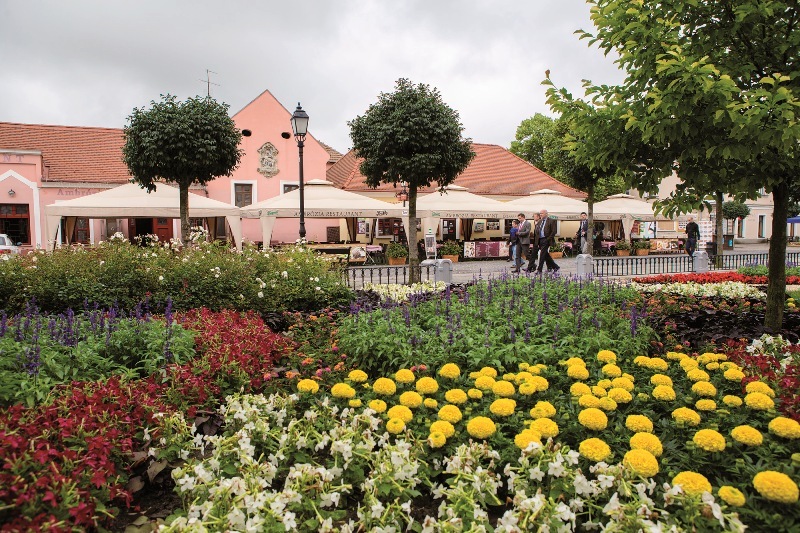 Together with its inhabitants Bad Ischl trys to foster the quality of life in all aspects. Turnhout is located in an open space region in the North of Flanders.The town is surrounded by valuable green and natural areas. The most famous Heaths and Ponds area is a botanical and ecological top site on the Western European level. Green corridors with a large network of biking, hiking and equestrian trails bring the green outer area into the heart of the town. The former market town Turnhout became an economical centre by the building of the railway line, the canal and the motorway. High priority is given to sustainability and green aspects in new projects thereby increasing the quality of life in the town. 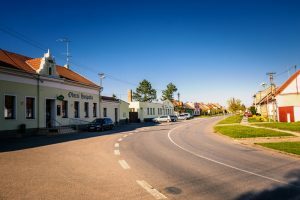 Slavkov u Brna – Austerlitz – small town located in south of Moravia near city of Brno. This historical town is worldwide known through the story of Napoleon Bonaparte and the Battle of the Three Emperors. The town location is rather attractive place to live thanks to very pleasant surroundings. There is preserved baroque composition of the landscape enriched by agriculture fields and green belts of vineyards. In the historic center is situated Baroque chateau with its regular garden and large landscape park continuing by the avenue to countryside. Slavkov town is a modern and progressive place with many environmental projects. Great example is the passive development center LIKO-Noe in the industrial park. Local residents gathering and working in 40 leisure activity groups are proudly taking part in creating a common environment. 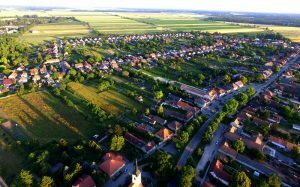 Hrusky is a common Moravian village with 700 inhabitants near Brno, but with the rich history and bright future. Village is still able to keep the traditions and organize many culture events. Inhabitants are proud of regional specialties like local pear brandy and cakes. There are many village associations and wide range of activities year round. The landscape surrounding the village is slightly hilly, with tradition of agriculture use. The most of inhabitants are engaged in cultivating gardens where they are planting traditional vegetables and fruits. Village development is governed by a long-term plan which takes all aspects like vegetation restoration and built heritage development. The greenery projects are designed with the focus to landscape and preservation of rural character. Wangerland, a large area municipality in the northern part of the district Friesland 10,200 inhabitants in an area of 176 km2. The rural character is influential. 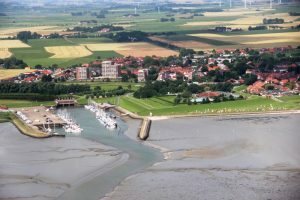 Due to the adjacent North Sea, the community has become an important tourist municipality with a number of accommodations von1,9 million guests. The adjoining Wadden Sea was added in 2009 as a World Heritage site in the list of UNESCO. A newly refurbished Natiolparkhaus 5 aquariums, the pier in Hooksiel and research Wattenmeer in Schilling invite you to visit. North Sea spas with cozy accommodations, campgrounds and long sandy beaches promise pure relaxation. Under the motto “Wangerland ­ earth and flood” to Wangerland involved as German community in the competition Entente Florale Europe. The citizens of all districts have introduced with much Engagemant and a large number of projects and campaigns. Mosonmagyaróvár is a significant administrative, industrial and cultural centre of the area with valuable natural environment, nature reserve areas, rivers, forests, good fertile soil, large-scale agricultural areas, thermal water and geothermic energy sources, transportation corridors, logistics centre, agri-business, manufacturing, services. The city awaits its visitors with its major tourist attractions like the FUTURA Interactive Experience Centre of Natural Sciences, interesting cultural events. 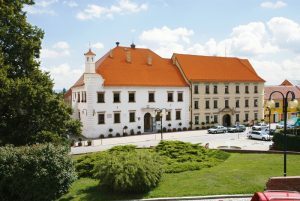 The Óvár Castle and fortification of the 13th century has a great importance in terms of architecture and as a listed, historical building, currently, the headquarters of the Agricultural University. There is a vibrant tourist trade thanks to visitors from the neighbouring countries. Cycle tracks connect the town to the international cycle track network and the surrounding villages. Dunakiliti is a settlement in the “Western gate” of Hungary, in a natue reserve area. It is surrounded by three borders (Hungarian-Austrian-Slovakian) which provide favourable site for the village. Dunakiliti celebrated the 850th anniversary of its existence in 2015. Since the 12th century, the Árpád Age left documentation of the presence of the settlement. 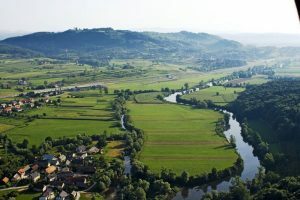 The landscape is shaped by the old branches of the Danube, which create a beautiful water reserve area used by fishermen as well as by tourists who long to visit the wild waters. The built heritages are churches, chapels, crosses on the roadside castles. A highly developed industrial area was established along with the water construction drawing a row of industrial plants and enterprises. Today this settlement of 1900 inhabitants has more than 2000 workplaces. 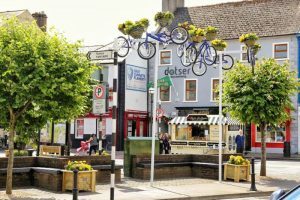 Tullamore is located in the centre of Ireland and is the County Town of County Offaly, with a population of 15,000 inhabitants. 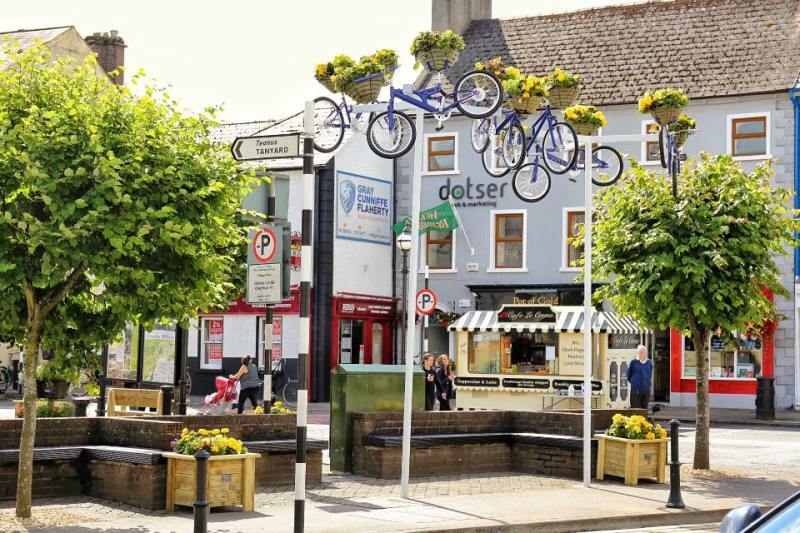 Tullamore has been described as Ireland’s Friendliest town and embraces strong traditions of agriculture, education, sport, and cultural events. Each August it organises Ireland’s largest Agricultural Show. It is famous for the production of Tullamore Dew Irish Whiskey which can trace its roots to 1829, which inspired the slogan: ‘Give every man his Dew’. Its Grand Canal reached the town from Dublin in 1798 and its arrival lead to the industrial and cultural development on a large scale. 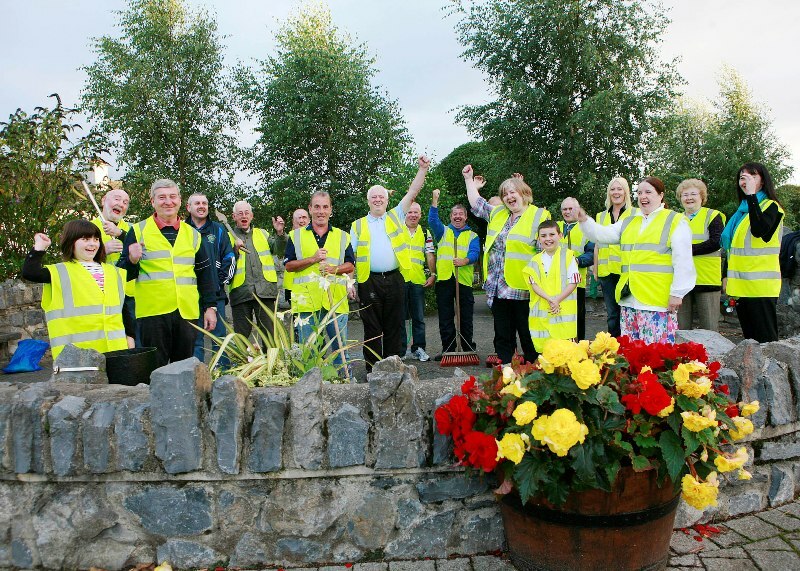 It is renowned for its community effort and involvement and has been a high scorer in Ireland’s National Tidy Towns Competition for many years. This year it was proud to represent Ireland in the Entente Florale Competition and is hoping for good results. Straffan village, County Kildare is situated only 40 mins from Dublin along the River Liffey and River Morrell. The approach to the village is marked by hedgerows, tree lined corridors or stone walls. The village has one Catholic church and a Church of Ireland . The battelements of Barberstown Castle, originally from the 13th century are a prominent landmark of the village. In the village centre, a fine stone building known as the Royal Irish Constabulary Barracks was built in 1871. A notable feature is the Lych gate built in 1913 which has been adopted as the symbol of the community. In 2006, Straffan was the venue for the third biggest sporting event in the world, the Ryder Golf Cup. Other features include the Steam Museum and Lodge Park Walled Garden. In the SuperValuTidy Towns competition Straffan has achieved top marks and are now only 6 points behind the National Overall Winner. 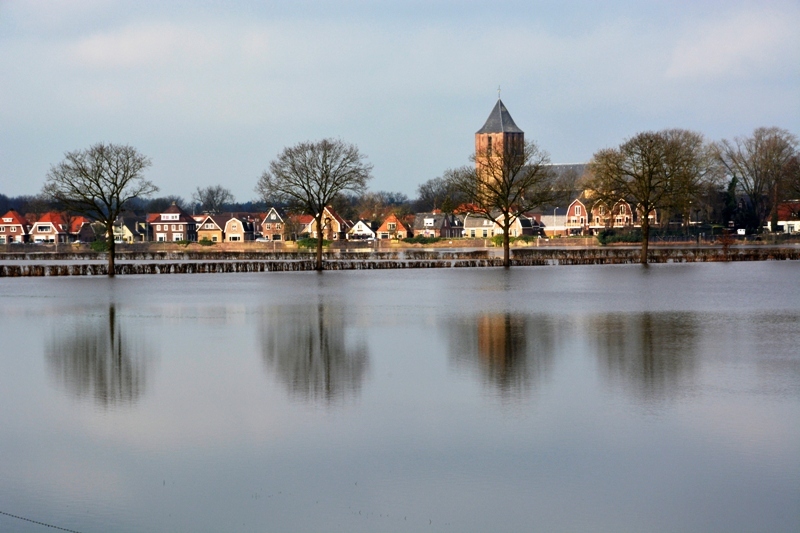 Ootmarsum, situated in the Twente region, is characterized by special geological differences that have arisen in the last ice age. These differences are the basis for a wide variety of landscape, flora and fauna. The inhabitants of Ootmarsum are aware of this natural wealth and cherish that wealth. 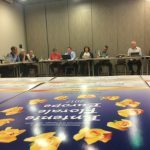 The rise of the industry in Twente passed Ootmarsum. The agricultural character has been preserved with the characteristics of a fortified town. The historic centre has an attractive scale and has extra appeal by the presence of many art studios and art objects. The inhabitants of Ootmarsum are motivated and also particularly active in maintaining the historical qualities of the region and the diversity of landscape, green and nature. Ootmarsum has used the available qualities to offer its inhabitants a good living environment and is an attractive place for the thousands of tourists who annually visit Ootmarsum. Dalfsen is a nice little town in the eastern part of the Netherlands near the river the Vecht. The town has an emphatic green image with a substantial economic value. The municipality takes care a lot of its green, they aware that green gives quality and identity. 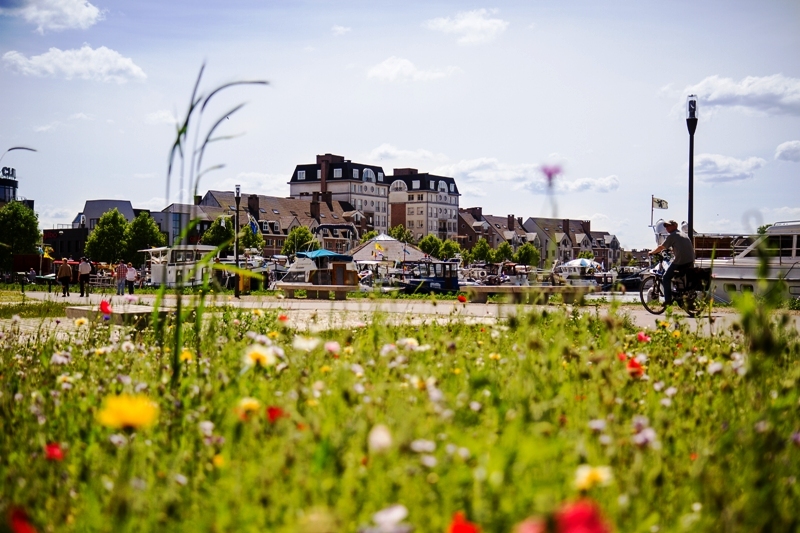 The citizens are seriously committed to their green:They love it! The interface between town and landscape represents an outstanding quality. The rural surroundings are characterized by a widevariety of original landscapes with structural nature andbiodiversity, historical estates and good recreation facilities for the citizens and tourists. The Municipality of Šmarješke Toplice is one of the smallest municipalities in Slovenia in terms of population, but quite substantial when it comes to its rapid development as independent local community from 2007. Šmarješke Toplice is a tourism-oriented municipality due to excellent natural resources. In addition to thermal water, the municipality has the largest natural drinking water reservoir in region which supplies drinking water for 8 neighbouring municipalities and the largest company in Slovenia. A pristine nature with diverse flora and fauna offers visitors many opportunities for sports and outdoor adventures. 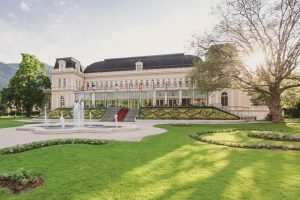 The representative of spa tourism is Šmarješke Toplice Thermal Spa. A lot of emphasis is placed on education, intergenerational socializing and the preservation of natural and cultural heritage. The cultural and sporting events are largely based on the voluntary work of numerous clubs and associations.